Before jumping into any solution try to mend the things that may cause dark lips. I intake a lot of coffee and direct exposure to sun made my lips look darker than usual. Then I started taking care of my lips with some home remedies and followed some exciting tips to make it red or pink whatsoever you say. After 1 month I achieved my previous lip color. Now, stick till the end to know about natural ways to get red lips. 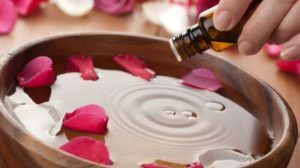 I can add a serial process about what to do at what time and what basic technique should be followed but the thing is that I didn’t follow any exact rule instead of that I continued the process which better suited me and also follow that whatsoever remedy best works for you. First thing that I like to do is remove my dead cells from the lips. For that you can make lip exfoliate pack to get rid of dead skin cells. Usually dead skin cell makes your lip darker gradually. Take one small teaspoon brown sugar and add with it 1 and ½ teaspoon beetroot juice and a few drops of olive oil. Now apply the mixture onto your lips for about 10minutes and after that with wet finger rub the mixture well on your lips. 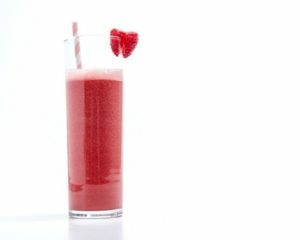 The brown sugar will help to eliminate dead skin and the beetroot juice will make your lips red and plump looking. I tried a lip balm by using the same ingredients; one might be added in the mixture. 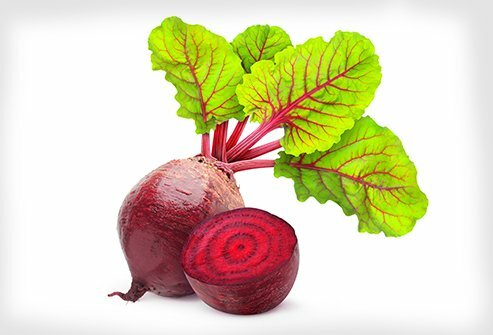 Take one teaspoon of beetroot juice and add with it ½ teaspoon of Shea butter and ½ teaspoon olive oil. Now heat the mixture and then pour it into a small jar. Let it cool for about 2 hours. After that you can apply the mixture as a lip balm. It’s totally a natural thing; you can apply the balm as much as you can. Shea butter helps to get back moisture and beetroot juice makes your lips red. I have constantly used the lip balm for more than 15 days and instantly saw a great result. Another thing that you may use is just, take a bit of beetroot juice apply the juice onto your lips. After a few minutes again add another layer and make as much layer in the time lapses as you can. And after that apply any natural lip balm or the lip balm I have mentioned a while ago. This will give rapid change in your lips. Let me go from easy to a bit complex method. I have tried quite a few methods with rose petal and rose water. First, make some rose water at home. (Take one cup of water and add with it handful of rose petal. Keep it for straight one day and after that strain out the water and it will be a rose water). Now take a cotton ball and dip it in the rose water and pour some rose water onto the cotton ball. And apply it onto the lips. Do this 5 to 6 times a day. Keep your lips hydrated all the time. Another method is taught by my grandma. You can use red rose petal as a mask or scrubber as per your wish. Take 3 tablespoon of milk and soak in it some rose petal. Keep it overnight. Next day, make a paste out of the milk and red rose petal mixture and add with it a pinch of saffron (I know it’s expensive, LOL) strand. If you don’t want to use saffron, you can use pinch of turmeric. Apply the mixture onto your lips and keep it for about 20minutes and after that dip your finger in that mixture than rub your wet finger on your lips. Scrub your lips for about 5minutes. You will visibly notice change in your lips. Saffron helps to lighten up your lips and also helps to remove hyper pigmentation. Another method is also available for your lips. Take 1 teaspoon of rose water, ½ teaspoon of honey and few drops of milk. Now apply it with cotton ball in your lips. Repeat this 3 to 4 times a day. This is my night time pamper routine. I applied this scrubber 5 times a week to get better result and believe me I got my result within 1 month of continuous use of this scrubber. Take one teaspoon of sugar and mix with it ½ teaspoon of lemon juice, ¼ teaspoon of castor oil and 1/3 teaspoon of olive oil. Now mix it well and add your favorite flavorings of your preference to make it a bit out of the ordinary. Then at night before going to bed apply this mixture and rub it for about 4 to 5 minutes. The lemon juice will help to lighten the dark component of your lips. Olive oil and castor oil will make your lips moisturized and also you know I guess that sugar is a great exfoliate agent. Take 1 tablespoon of raspberry juice, ½ tsp of lemon juice and ½ teaspoon of honey. Apply the mixture with cotton ball 3 to 4 times a day to get better result. You can apply the mixture each day and also you can keep it in the fridge for using for few days. Raspberry coloring is great for making your lips red. If you are smoking then I suggest you to quit smoking if you want plum lips. Try to use high SPF lip balm to avoid sin exposure. You can get relief from sun burn if you are using lip balm. Another tip is that whenever you are drinking any hot stuff try to use lip balm as well. The hot stuff can easily burn your lips. Stop licking your lips all the time. It’s not a good sign to have red lips. Must remove lipstick before going to bed and try to use any lip pack to provide moisture on your lips. Drink loads and loads of water. Minimum 2 liters of water is a must to lead a healthy life. Aforesaid tips and techniques are tried and tested. You can attain red lips if you follow the tips I have mentioned.